﻿ What do you do if mud content in sand is large? Location: Home » NEWS » What do you do if mud content in sand is large? What do you do if mud content in sand is large? Now quality of sand, especially for natural sand, becomes more and more low. The mud content in sand is larger than before. LZZG advise you to use sand washing machine or dewartering machine. The project one is to use dewatering screen. Dewatering screen can be used in dewatering, desliming and sculting. The wet sand production line often uses it. The mud content can be decreased below 0.7% by using dewatering screen. The another way is to use sand washing machine. 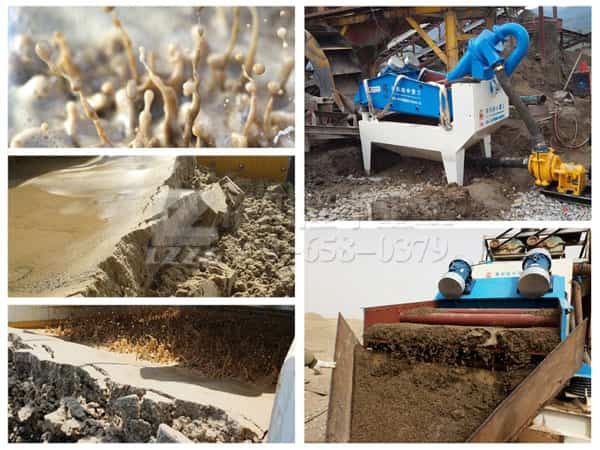 Sand washing machine is stronger than dewatering screen in function, and it has high clean rate. Besides, sand washing machine can recycle sand. Its recycling rate reaches 85%. Certainly you can choose more reasonable projects to decrease mud content according to your own production state. Previous：How to choose dewatering machine india? Next：Sand washing machine can be widely used in future!